We knew we were due for a pretty nice week weather wise, but had no idea that we would be here experiencing temperatures and humidity higher than Florida !! Wednesday we had pre-booked our tickets up to the Rockefella Centre “Top of the Rock” for 10:30am, and it was already 29c and 95% humidity by that point. Thank god for air conditioning ! 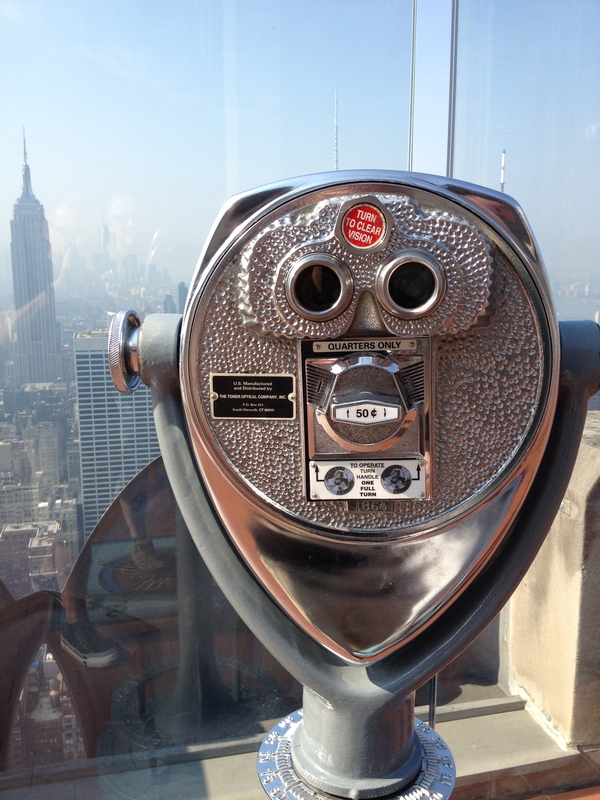 The views were absolutely fantastic , however you really didn’t want to spend much time outside because it was really uncomfortable. 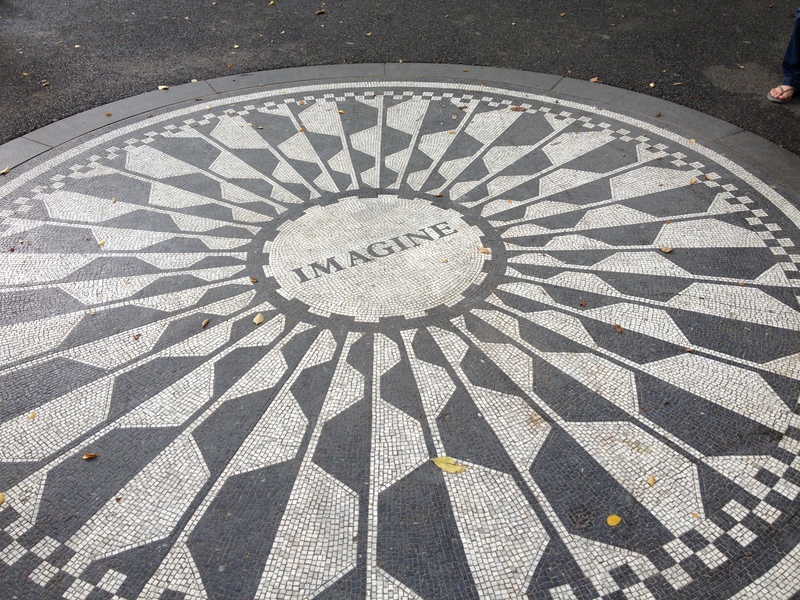 After our visit up the Rockefella Tower we walked up 5th Ave to Central Park with an aim to visit a museum. 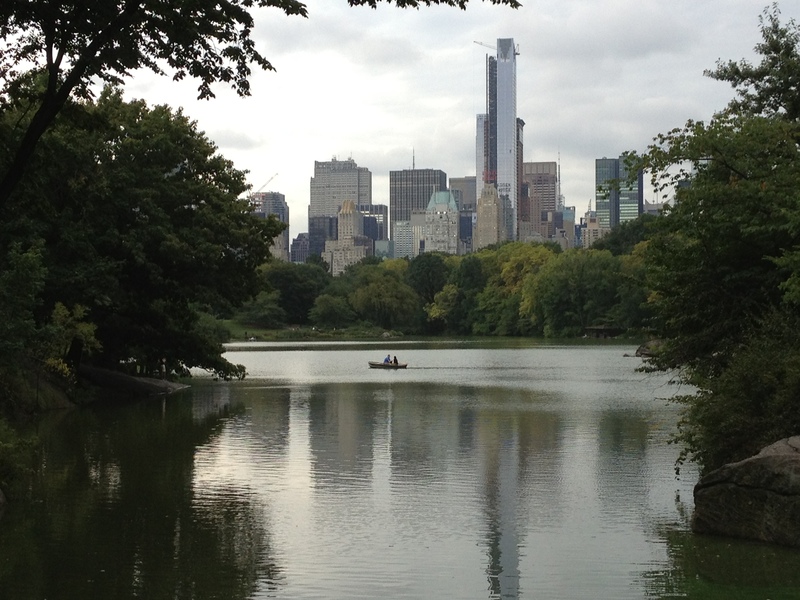 We thought the “Museum mile” started at the beginning of Central park, but boy was we wrong ! It was about 20 blocks further up, but by that point there were no nearby subways and all taxi’s that passed were already hired, obviously because no one wanted to walk anywhere due to the heat. 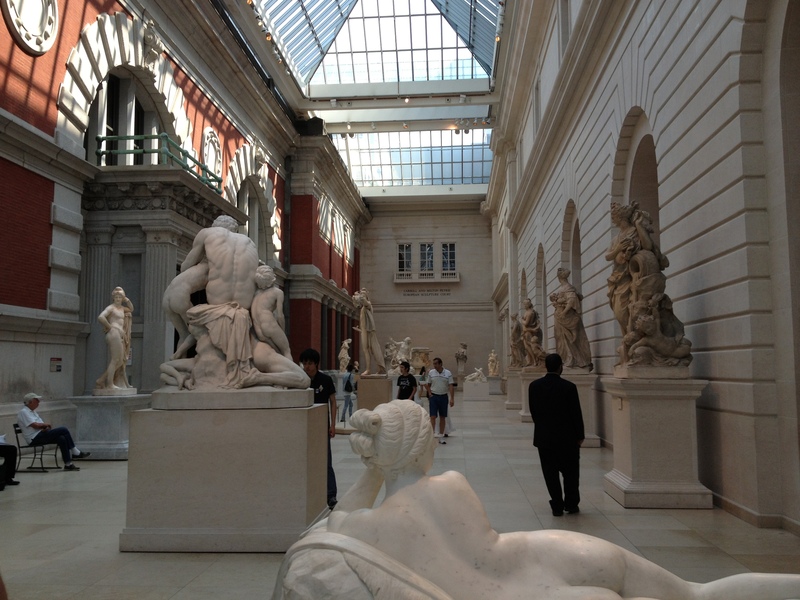 So we had no choice other than to walk the 25mins to the MET which was the first of the museums. 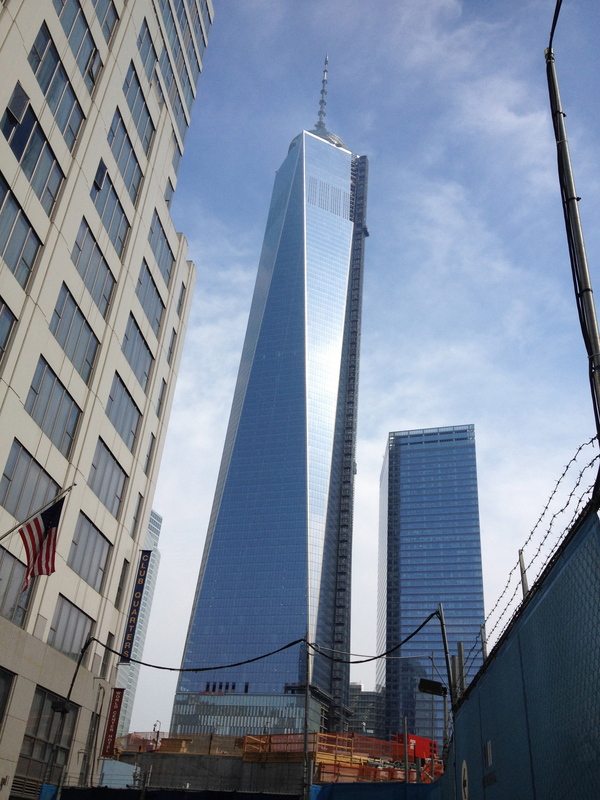 Wednesday was also the 12th memorial year of 9/11. 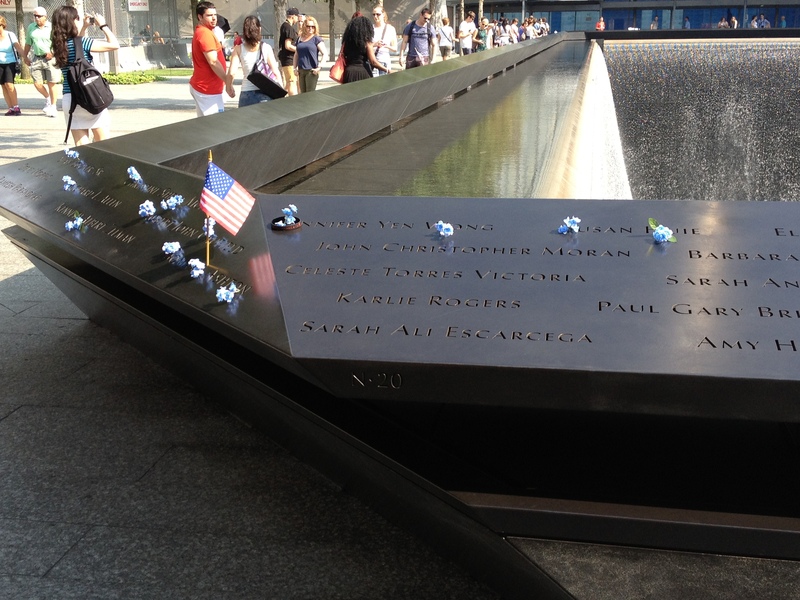 Even now it was heartbreaking to see the memorial service on TV. So many personal stories. That evening you could see the two beams of light shine high up into the night sky. 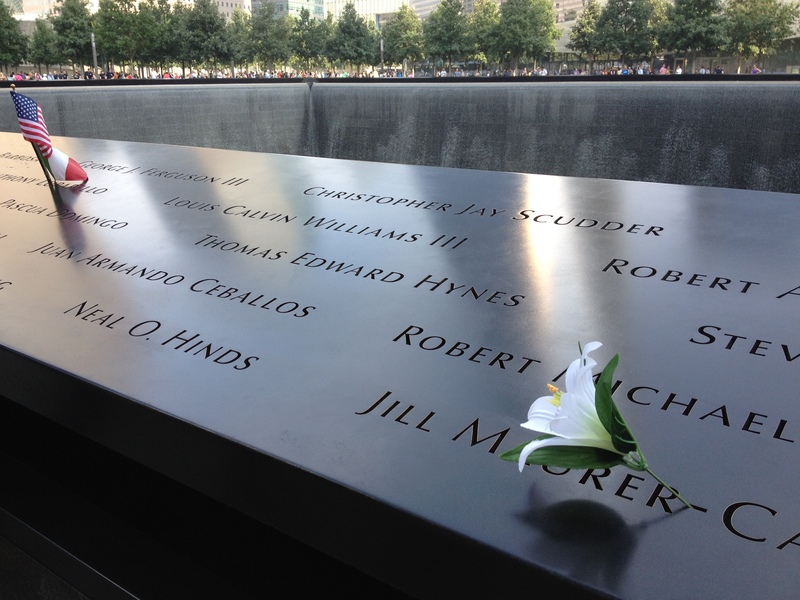 Thursday we had pre-booked a visit to the 9/11 memorial gardens. We couldn’t believe the amount of people there also queing up to get in. At first it didn’t really seem the place of reflection and remembrance that you thought it would be given the crowds and constant noise from the continual building works going on, but as you walked around the two pools and actually saw all the 3000 names inscribed into bronze panels edging the Memorial pools, it really hits home the scale of the loss. Quite a moving morning. Thursday evening we went to a wine tasting event at the wine shop that we had visited as part of our food tour on Monday. 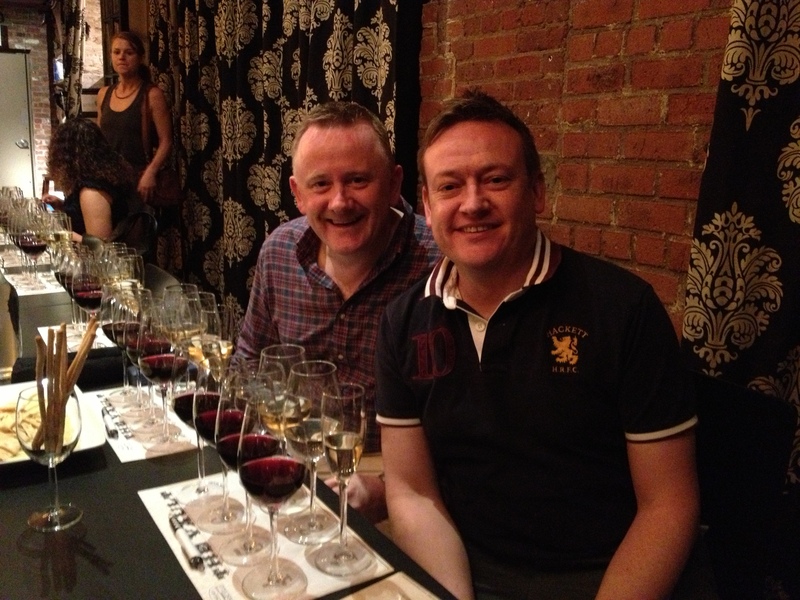 The evening consisted of a 1.5hr tasting of Californian wines. We tasted 3 whites and 4 reds, and felt quite ‘merry’ by the time we left 🙂 We also ended up with a couple of purchases as we left. 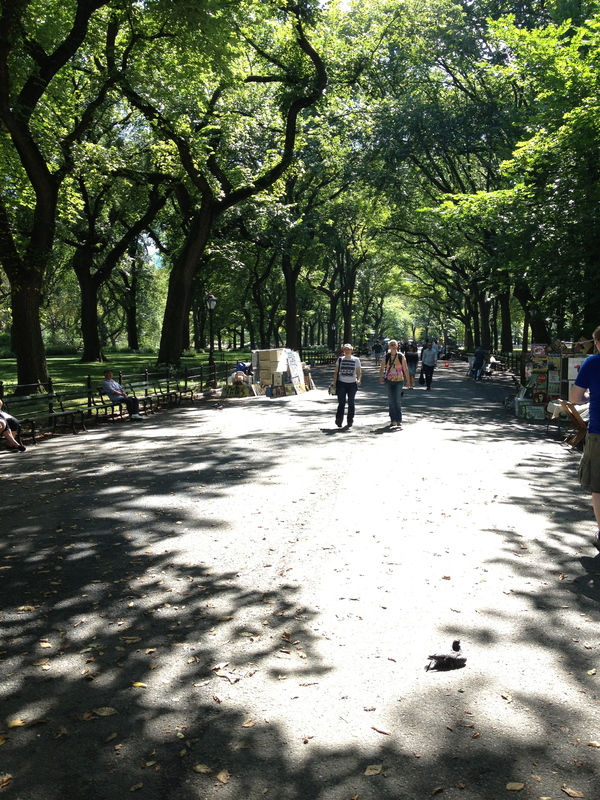 Today, Friday, we spent most of the day wondering around Central Park. The humidity had dropped quite considerably today, and temperatures had returned to near normal for this time of year, which made it a lot more pleasant to walk around. 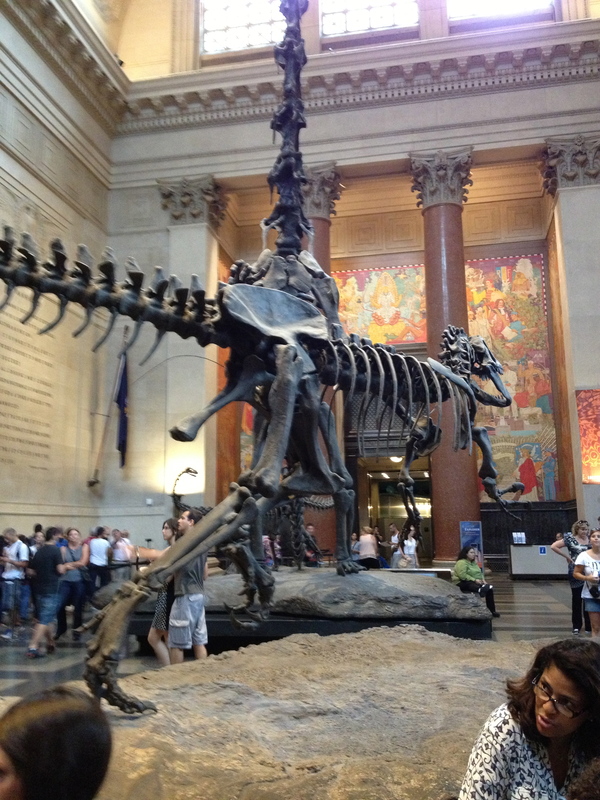 We walked up the west side and through Strawberry Fields, and then went for a visit to the Natural History museum. On the way back we walked down the east side and past the boating lake and baseball fields. 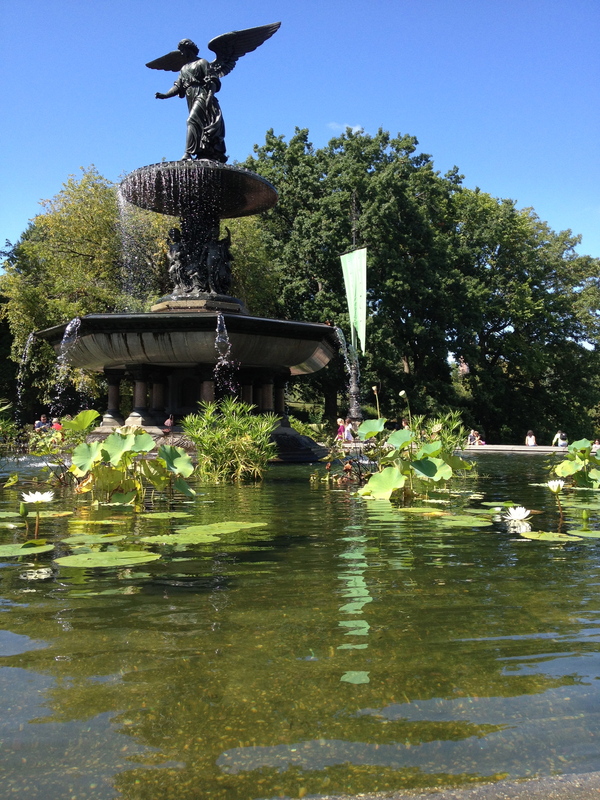 There was so much going on with street performers and jazz bands, it made such a lovely relaxing day. We finally finished of the day with a few drinks in the Hard Rock Cafe bar listen to Bon Jovi ‘Living on a prayer’ , and then on to the movies to see Elysium. Jas enjoying the blog and the pics. Hopefully next year we will make it there! enjoy the rest of your time there.